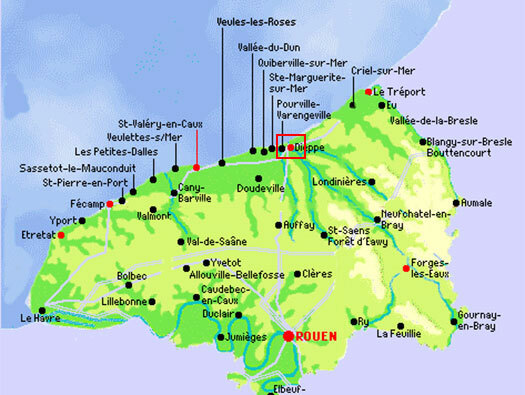 Wn Die01 Puys, Dieppe, Haute-Normandie. 1 x Pz.T. 3.7cm KwK. 4 x field bunkers. Some tunneling. R600b 5cm KwK gun bunker. Kabelschalstelle not sure what type. 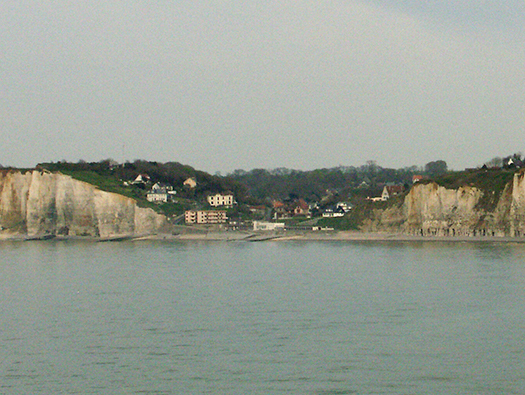 Seen from the ferry leaving Dieppe. The first a bunker of some type, now removed. The second was a Pz.T. 3.7cm KwK. The third an R612 casemate for a 7.5cm gun. The fourth a Schartenstand observation post. 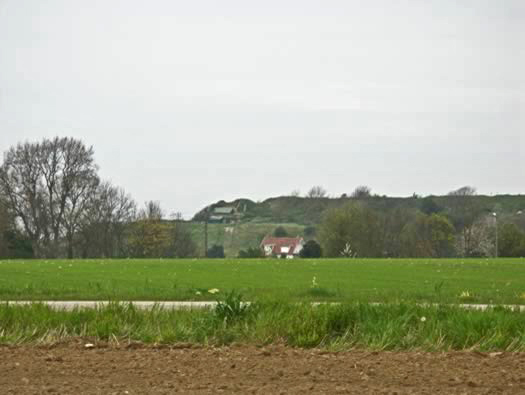 The fifth on the right a Vf bunker. 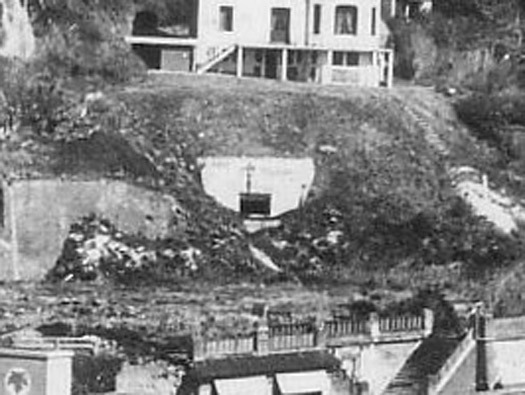 The first bunker set in front of the house. The roof was removed from the house possibly to re use the timbers. Set into an earth bank. In-front the flat piece of land is where a beautiful Casino building was demolished to allow better defence for the town. Canadian Memorial to the Dieppe Raid in 1942. To the left a Schartenstand Observation Post. It may have had a machine gun inside able to fire through the slit but it actually was an observation post. Note the local camouflage at the front. It looks like this type that is used a lot along this coast. This a Tobruk with a Pz.T. 3.7cm tank turret. The turret after capture in 1944. The picture showing the original Tobruk entrance now has a nice new door with a window. 3.7cm gun inside the turret. 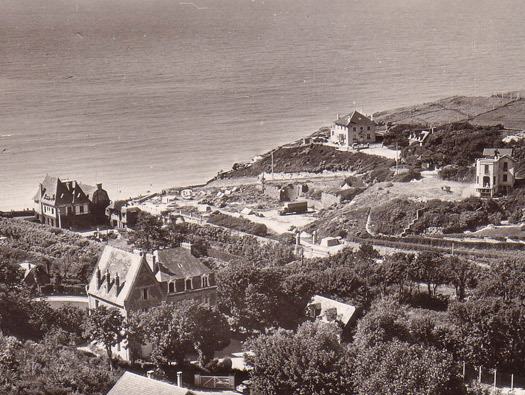 I am not sure of the date of this photo the Schartenstand is there and the bunker in front of the house on the hill but the house still has a roof? Vf Bunker & the second Schartenstand. Now like many of its contemporaries languishing on the beach. Observation bunker, one or two small rooms and the observation room. This is how the observation room would have looked. 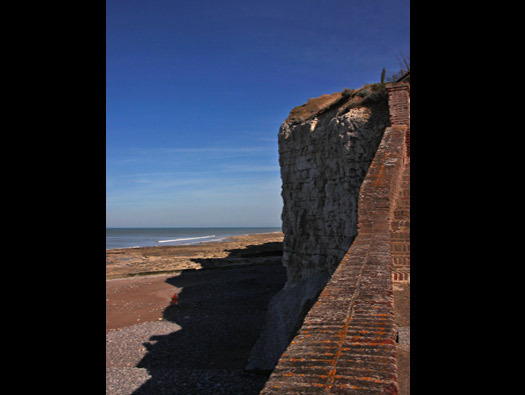 Looking along the coast other way. Now in piece mother and child can play on an old battle field. Canadians closing on Puys in 1942. Destroyer laying a smoke screen. Blue beach attacked by the Royal Regiment of Canada. 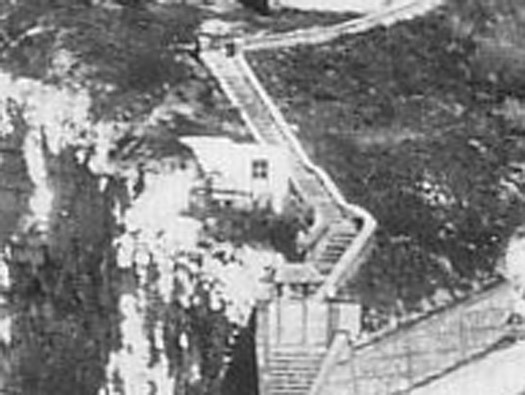 Of the Canadians that landed over 200 died and the rest were captured. The RAF put up more fighter aircraft than ever before and flew sortie after sortie Hurry bombers bombed the the gun batteries. Spitfires found the Germans had a new fighter, faster than the Spitfires in production in 1942. 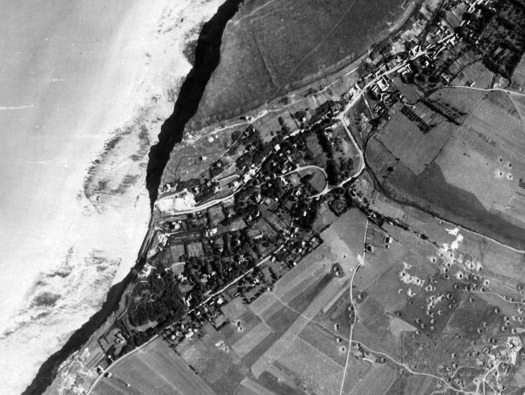 An air view Puys 1945. 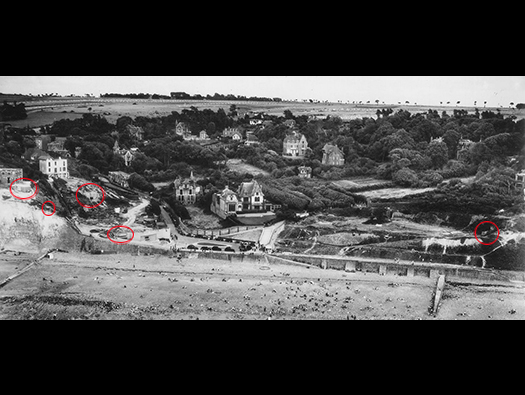 The heavy gun battery at Neuville showing the bombing of 1944. 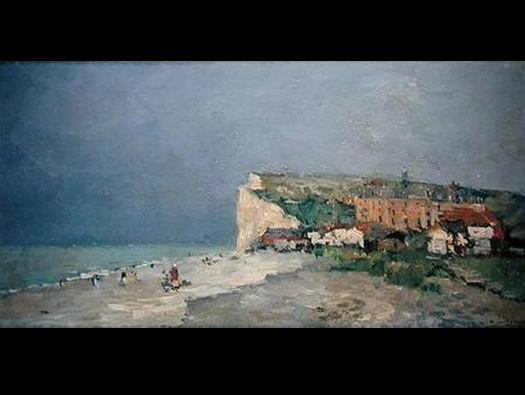 La Plage de Puys-Sous-Dieppe, Ciel D'Orage - Albert Lebourg. Stormy Skies by Albert Lebourg painted in 1880.